Winter Squash or edible pumpkins should have sweet flavor and a smooth, pleasantly dry consistency when cooked. Why is it, then, that supermarket squash so often fall short of this standard, with watery flavor and stringy texture? Dr. Brent Loy, cucurbit expert and breeder at the University of New Hampshire, describes this situation as the "grower's paradox." Market standards encourage growers to produce high-yielding varieties and to harvest the fruits when their appearance is most appealing. The grower's paradox has two aspects: first, the best winter squash varieties have higher dry matter content, and thus, lower fresh weight yields; and second, squash fruits often look ready to eat before they have reached full maturity, a stage which must be reached to ensure the best flavor potential. Patience and variety selection are key when producing high-quality squash and edible pumpkins, so it helps to understand the important characteristics of the best varieties, and the practices required to bring out these qualities. 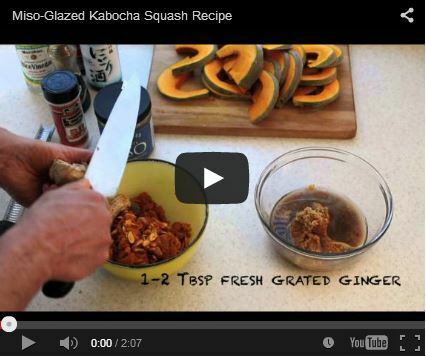 Good eating quality in squash is mainly determined by two characteristics: sugar and starch content. Brix. Degrees Brix (symbol °Bx) can be used as an indicator of vegetable or fruit quality as a function of the sugars present in it. One degree Brix is equivalent to 1 gram of sucrose in 100 grams of solution. In winter squash it is positively correlated with eating quality. Dry matter. Dry matter, also known as dry weight, is a measurement of the mass of a fruit or vegetable when completely dried, ie, all of its solid constituents. In winter squash it is positively correlated with eating quality and negatively correlated with yield. Sugars. "High sugars not only contribute to a desirable sweet taste, but also mask undesirable flavor components associated with certain varieties," explains Dr. Loy. Sugar content is estimated by taking a small sample of the flesh, freezing it, thawing it, and then pressing it to extract some of the juices. A refractometer is used to measure the percent soluble solids of the juice and approximate the sugar content, often expressed as degrees Brix (see Quick Definitions). Brix values of 10 are adequate, but values of 11 or greater are needed for the best flavor. Starch. The desireable smooth texture in squash is a function of starch content, which is related to dry matter content (see Quick Definitions). According to Dr. Loy, carbohydrates in the form of sugars and starch comprise about 50–70% of squash dry matter as fruits approach maturity. Starch is converted to sugars during squash maturation and after harvest during storage. Thus, squash with higher dry matter at maturity will have better texture and flavor. Dr. Loy has found that varieties with 18–25% dry matter at maturity have the best eating quality potential. Varieties with low dry matter at maturity may be acceptable for a short time, but starch is depleted during storage as it is converted to sugar, leading to watery and fibrous texture. Varieties with low dry matter will have higher water content, and will therefore yield more on a weight basis. So a higher-yielding variety may have lower eating quality than a similar, lower-yielding variety — the first aspect of the grower's paradox . Johnny's-bred squash varieties have been selected for excellent eating quality. Brix and dry matter data are collected over the many years that it takes to develop a new variety. Sometimes the best-tasting squash fails to meet our standards in other areas, such as powdery mildew resistance or storage — so it doesn't make the final cut. We strive to release varieties that have a good blend of desirable characteristics, and that we have enjoyed in our taste tests over the years. In addition to selecting a high-quality variety and growing it under the best possible conditions, harvesting the squash at the correct time is critical to eating quality. Small-fruited types such as acorn squash can reach full size and coloration approximately 20 days after pollination or fruit set, but Dr. Loy's studies have found that fruits harvested at this stage are basically inedible. Butternut squash fruits may attain their characteristic tan color about 35 days after pollination, giving them the appearance of maturity, but these fruits are also lacking in flavor. This is the second aspect of the grower's paradox — fruits that look good don't always taste good. So why is it, that looks can be so deceiving? When fruit reach full size and color, as early as 20 days after pollination, they still have low starch and dry matter. Dry matter and starch accumulation peak later, at about 30–35 days after pollination, and seeds are not fully developed until about 50–55 days after pollination. Seed maturation is also important because if a fruit is harvested prior to this stage, the seeds will continue to mature off the vine, robbing the fruit's dry matter and starch content and reducing eating quality. A good rule of thumb for all squash types is to wait 50–55 days after pollination or fruit set to harvest. For a few types, there are visual clues that help indicate fruit maturity ( listed below ). Make a note of when your plants start to set fruit, and strive to maintain plant health through fruit maturity. When fruits are ready for harvest, clip them from the vines and handle carefully. Cure the fruits by exposing them to sun in the field for 5–7 days; or, if there is a threat of hard frost, cure the fruits inside for 5–7 days at 80–85°F/27–29°C with good air ventilation. The curing process will improve storage potential by toughening the skin, and it can speed up the necessary post-harvest storage interval needed by some types for optimal quality. Use our chart as a quick reference guide to curing and storage times for different types of winter squash. After curing, store fruits at 50–60°F/10–15°C, with 50–70% relative humidity and good ventilation. Repeated exposure to temperatures below 50°F/10°C may cause chilling damage. Sort fruits on a regular basis to remove any rotten fruits. Pie Pumpkins should have fully developed orange skin color. Acorn, Delicata, and Sweet Dumpling types should have a dark orange "ground spot" where the fruits rest on the soil or substrate. These types can be consumed immediately after harvest, and will taste best within and store for 2–3 months. An additional indication of fruit maturity in these types is a dry, corky stem. Kabocha, Hubbard, and Buttercup varieties are more susceptible to sunburn, so if plant health declines and fruits are exposed to the sun, they can be harvested early, at about 40 days after pollination. However, they will need to be cured and then stored at room temperature (70–75°F/21–24°C) for 10–20 days for acceptable eating quality. C. maxima types tend to have the highest dry matter of all the squash types, and are often too dry to eat at harvest. Storage time is needed, allowing conversion of starch to sugar for a more balanced and pleasant eating experience. Mini Kabochas (all colors) and red-skinned varieties (such as Sunshine and Red Kuri ) are an exception to this rule. They can be consumed at harvest and will keep for up to 2–3 months. Buttercups, full-size green/gray Kabochas, and Hubbards require 1–2 months of storage for best eating quality, and will keep for 4–6 months. Mini butternuts, such as Butterscotch PMR , can be consumed at harvest, and will store about 3 months. Full-sized butternuts and other C. moschata varieties, such as Long Island Cheese , an edible heirloom pumpkin variety, should be stored 1–2 months prior to eating, and will keep up to 4–6 months. Storage also increases the carotenoid content of these types, making them more nutritious. Select varieties bred with flavor in mind. Some high-yielding varieties can have higher water content and lower dry matter content, which often correlate with poor eating quality. Do not harvest fruits before they are mature (approximately 50–55 days after pollination). Cure and store fruits in the appropriate environment. Sell and/or consume fruits at the proper time. Start with the small-fruited types, like acorns and delicatas, then move on to the larger-fruited types, like kabochas and butternuts. If you are selling your squash and edible pumpkins, consider your market. 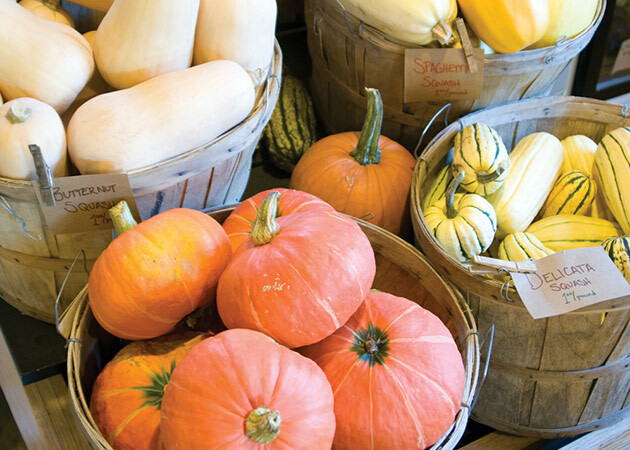 A winter market or CSA, for example, is a good outlet for your kabochas and butternuts when they are in their prime.